Gunners striker Robin Van Persie was the paladin one more time as his brace gave them a crucial 2-1 win over Dortmund to put them in the knockout stage of ChampionsLeague .Yet another match, yet another win for Arsenal. Arsene Wenger must be one joyful man as this season seems to be back on track for the Gunners. No matter which club you support, you have to love Van Persie and the Gunners owe their resurgence to this man. The sacred Dutch dynamite seems to be going through an extended purple patch this season.This season he seems to be a major contender on taking the Golden Boot home. To say that the prolific Dutchman is in a rich vein of form would be an understatement of scriptural proportions.13 league goals in 12 matches, a plethora of magnificent displays and a series of inspiring words as Gunners captain proves that ‘RVP’ has become the most important player at the Emirates Stadium RVP certainly seem to be a one man army with the captain playing the anchor role and steering the Gunners to a victory in almost every match. With the departure of Cesc and Nasri, the baton fell in his hands to lead the team and he seems to be relishing this role, for his stinging left foot seems to have quenchless thirst for goals. With a superbl hat-trick against Chelsea at Stamford Bridge and a brace against Norwich which brought up Arsene Wenger’s 200th away win with the club in all competitions, Van Persie seems to be unstoppable. Also he has scored 30 goals in a calendar year which is a huge achievement and it puts him in an elite list of legends. In his current form, Van Persie seems to be the answer to all of Arsenal’s problems,after the intial hiccups at the start of the season. 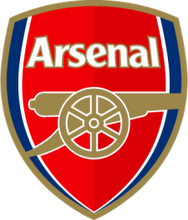 The Gunners man seems to have toasted his bond to Arsenal and it is really hoped the club hang on to him and keep him away from the clutches of cash rich clubs. As long as he manages to remain fit and scoring his left footer bullets it seems to be paradise for the Gunners. RVP slowly growing into what Henry was for the club. 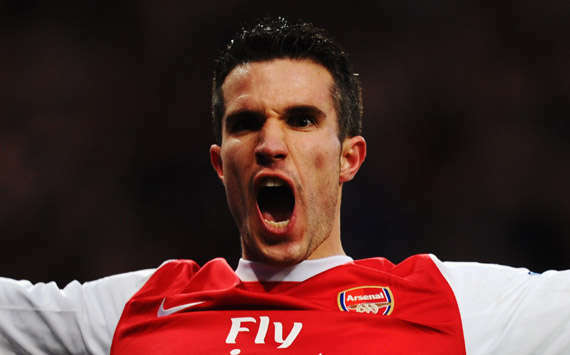 One question that still keeps hitting the bulls eye: Have Arsenal become over dependent on Van Persie ? What if he suffers an injury? 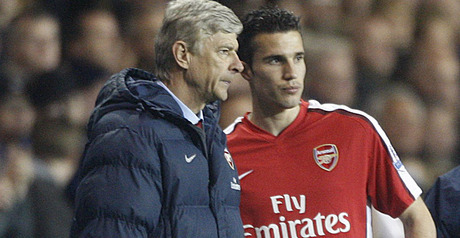 Should Arsene spend big and bring in a support striker for Van Persie? Judging by his current form I don’t think any sort of support for him is required at all! We all lovers of the great game of football can hope to see many more goals from the marvel man of Arsenal. New signings all round.Looks like Arsene Wenger’s bullheadedness of creating a youth team has lost substance and the man was on a holiday season shoping spree to purchase a few players and strengthen his squad. This is without a doubt the aftermath of humiliating defeat at the hands of Manchester United (2-8). If that wasn’t a wakeup call then nothing is! 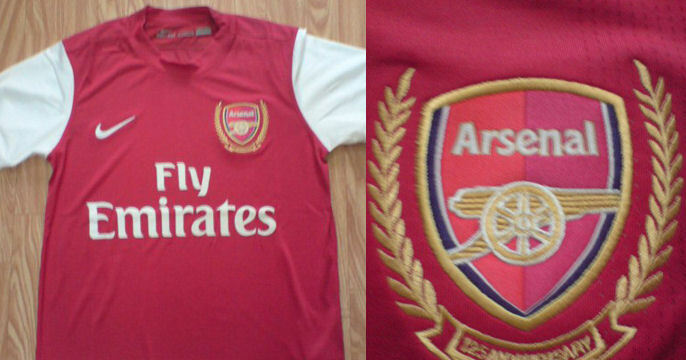 Here’s a look at what came out of the shopping bag ;the big name is Mikel Arteta,the Spanish midfielder from Everton. Good signing of all of them as he will provide offense &chances for the strikers. Along with Youssi Benayoun,Arteta will serve to bridge some of that huge gap in creativity that the team has with the exit of Samir Nasri &Cesc Fabregas. But in terms of quality do not think for a second that the newcomers are of the same calibre as those who left. Benayoun joins on loan from Chelsea. Meanwhile disgruntled striker Niklas Bendtner joins Sunderland on loan, good for Gunners. German defender Per Mertersacker who joins from Werder Bremen is certainly a handful in the air at 6.6 feet tall and he’s been added to try and rid the side of their clumsiness at defending corners and set pieces effectively. However,the side may have to play a deeper line to indemnify for his almost chronic lack of pace. Nonetheless,the Bundesliga’s almost break-neck speed of play is extremely similar to that of the Premier League and he should adjust fairly quickly. From AC Monaco comes South Korean forward Park Chu-Young (Utd’s park cousin) comes for a fee around the £2m mark and with a one in three goals to game record throughout his career and significant international experience behind him,he should prove a solid squad player. Brazilian left-back Andre-Santos also joins Arsenal,even though Wenger had claimed that the club was well stocked at left back because they had Vermaelen,Traore and injury-plagued Kieran Gibbs to call upon. He’ll add pace and width down the flanks,even if his defensive attributes are under question. Arsenal left-back Armand Traore has joined Premier League new-boys QPR for an undisclosed fee, a bad choice may be.